I went to “the big ginkgo tree of Bodai-ji” in Nagi-town. It’s a verrry big, old and beautiful tree. Bodai-ji is a kind of “family temple”. So Bodai-ji isn’t a name of the specific temple. Japanese Buddhism includes many sects. Therefore many kinds of temples are in Japan, and the reasons built each are different. The most common temples are Bodai-ji. 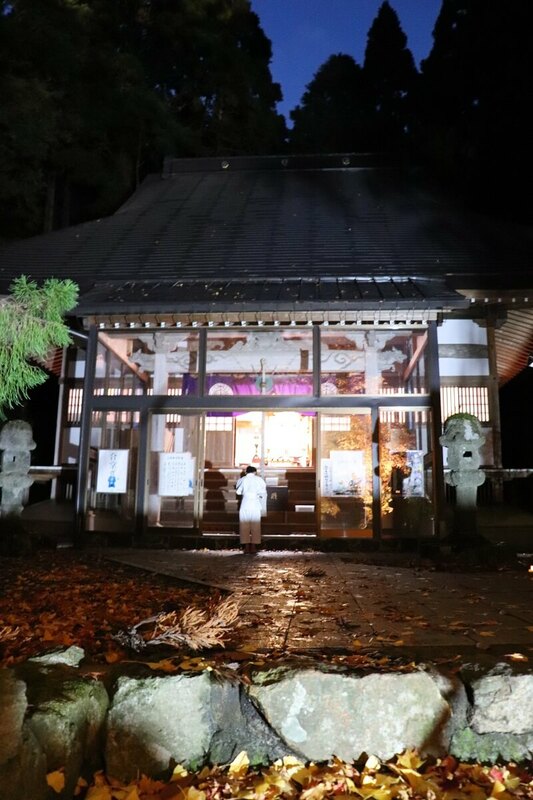 You can pray at the Bodai-ji, even if you aren’t a Buddhist. At first you bow in front of the gate. You must not step on the threshold when you pass through the gate. When you put on a hat, you take it off. You walk the corner of the approach to a temple. Because the center of the approach to a temple is the way which God goes along. ※You don’t need to take off your shoes. If there are a chozusha, you wash your hands and rinse your mouth. 1.You take one of the ladles by your right hand, fill it with water, and rinse the left hand by pouring some of the water over the hand. 2.You grasp the ladle with your left hand, fill it with water, and rinse the right hand by pouring some of the water over the hand. 4.You grasp the ladle with your right hand again, fill it with water, and rinse the left hand by pouring some of the water over the hand. 5.You hold the ladle vertically and rinse it by pouring some water over its shaft. ※Don’t transfer the water directly to your mouth. You can strike a temple bell before worship. That means greeting for God. 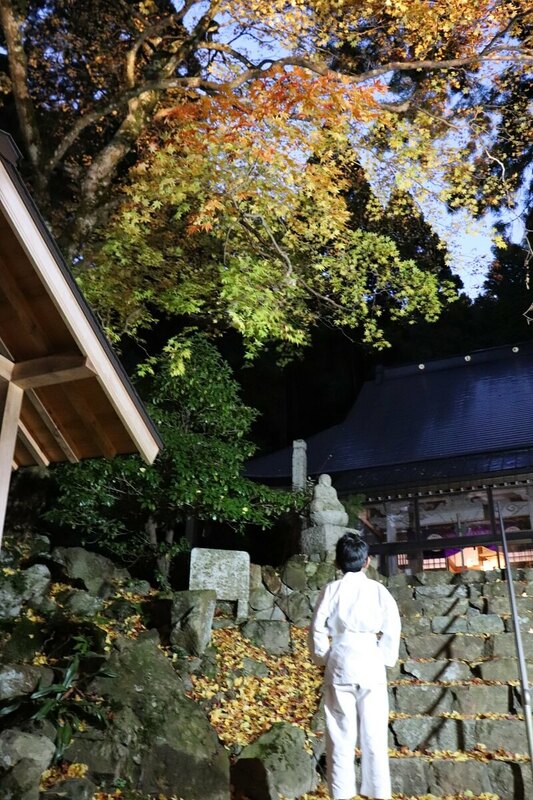 ※It is said to be “Modori-gane” and is unlucky that you strike a temple bell after worship. 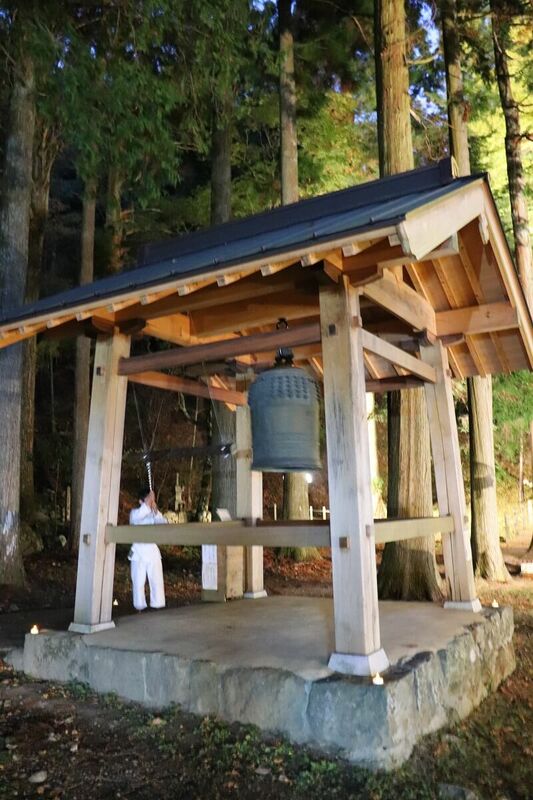 ※Some of temples are prohibition to strike a temple bell. 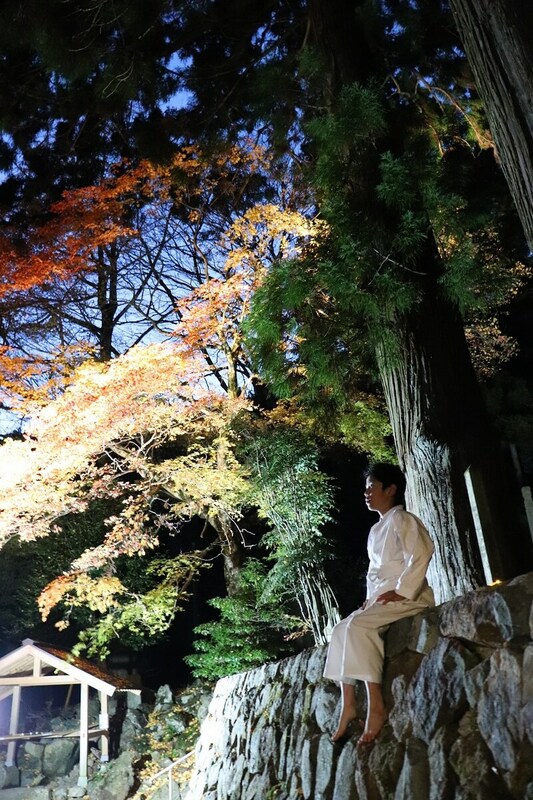 A famous Bodai-ji is in Nagi-town, Okayama. 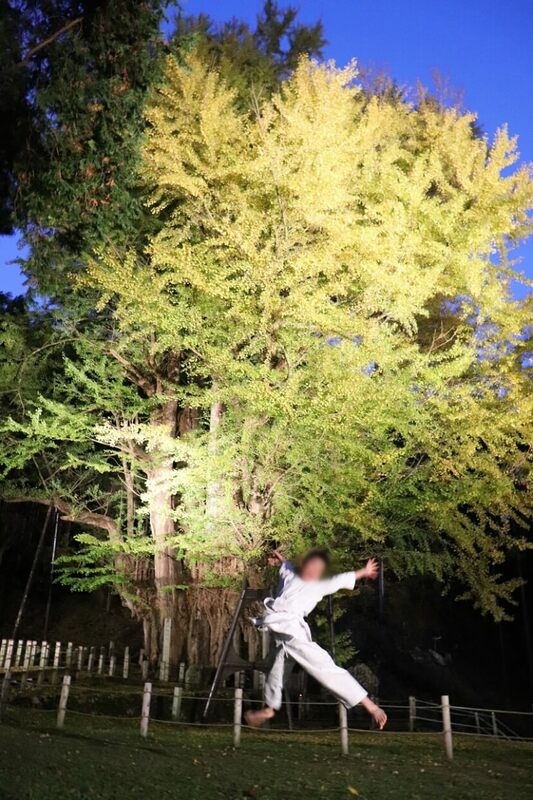 There is the biggest ginkgo tree in Okayama. 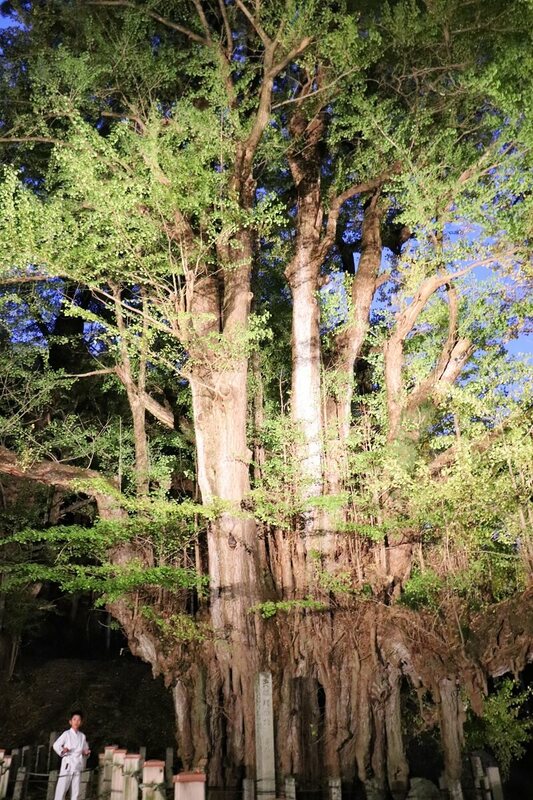 This ginkgo tree is appointed to the natural monument of the country. 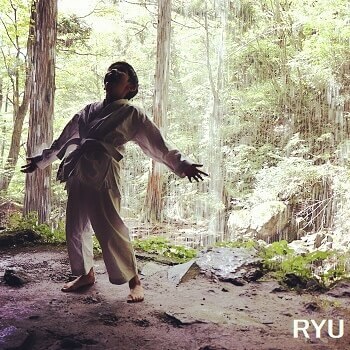 And It’s one of Japan’s Top 100 tree. As for this big ginkgo tree, the stick which Honen prays for the study accomplishment and placed is said to have sent out buds. You must not play in temple. The tree is 900years old and I’m 10years old. 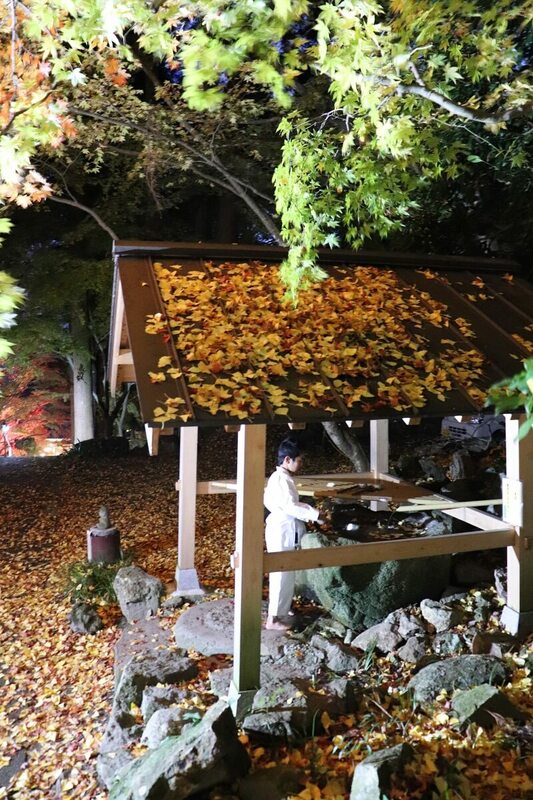 The temple is known for its colored autumn leaves, and the site is illuminated at night. The parking lot and Admission are free of charge.